How clean IS your tap water, really? It’s hard to know for sure without buying a test kit, but there are a lot of things that can affect the quality of your tap water. Many people like to filter their drinking water, and there are a number of ways to do this. One of the easiest ways is to get a faucet filter that installs directly on your sink. 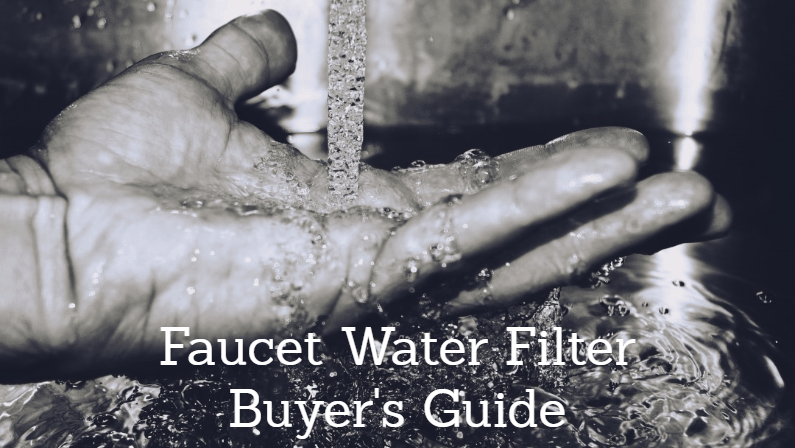 Today we’ll help you find the best faucet water filter for your needs and budget. The Wingsol water filter beat out a lot of well-known brands for our top recommendation spot. In our testing, we found this to be the best faucet water filter overall, thanks to a combination of durable construction, ease of use and installation, and advanced filtration technology. Wingsol is made to filter out sand, rust, dirt, and sediment while partially reducing chlorine, heavy metals and more. The Wingsol is made from durable 304 stainless steel, so it’s built to last. The internal filter is also long-lasting, with a 200 gallon recommended capacity. You can also take out and wash the filter to extend its lifespan, which isn’t possible with a lot of similar products. When it does come time to replace your filter, you will find that Wingsol replacement filters are very affordable. The Wingsol is a best-seller on Amazon, and has earned a great reputation in faucet mount filter reviews. It’s our overall top recommendation – check it out today! 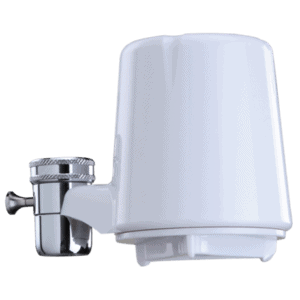 The Culligan FM-15A is an affordable water filter cleaner that mounts directly onto your faucet. It’s the cheapest product on this list, but it’s still a quality, well-made product from a well known brand in the water industry. It’s designed to filter out contaminants, chlorine, unpleasant tastes and more. The system was tested by NSF International to follow ANSI Standard filtration regulations. The affordable replacement filters on the FM-15A are rated for 200 gallons of filtered water. It’s a well-selling product, and it’s fairly well reviewed among consumers. Some people commented that the plastic housing of the unit was more susceptible to damage than stainless steal competitors, but that’s to be expected with cheaper products like this one. If you’re on a tight budget or are just testing the waters (pun intended), this may be the best faucet water filter for your needs. Learn more here. 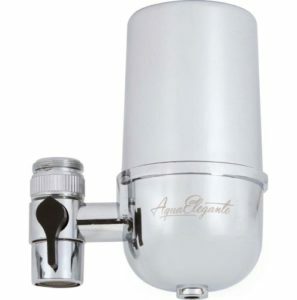 The Aqua Elegante advanced filter is a more luxury filtration system that looks great and comes in an attractive gift box. Its sleek stainless steel design will look great in most kitchens, and it does a great job of filtering tap water. It is designed to reduce chlorine, sediment, mercury and lead, and also contains non-toxic KDF 55 which helps to kill bacteria, mold and fungi spores that may find their way into your water. Cartridges are designed to last for 200 gallons or 4 months, and the manufacturer guarantees you’ll get at least 4 months out of each filter. Internal components are BPA and phthalate free. Installation and use are simple and convenient. Despite the luxury look and feel of this product, the price is still quite reasonable. The Aqua Elegante has earned excellent customer reviews, and comes highly recommended from our testing team. Click here to learn more. The DuPont WFFM350XCH does not have a very catchy name, but it’s a quality product. Its metal construction means it’s built to last, and if anything goes wrong it’s backed by a 4-year warranty. Many similar products have a 1-year warranty or less, so this alone is a big selling point of the DuPont. It also has a unique digital display that lets you know how many gallons you have filtered so you can know when to replace the internal filter. The DuPont features a carbon filter designed to help remove chlorine, sediment, asbestos, heavy metals and more. It will also improve the taste, odor and appearance of your drinking water. The filters are designed to last 200 gallons, but replacement filters are a bit more costly than most. If you’re looking for a long-lasting product with a 4 year warranty to back it up, this is a great choice. Click here to learn more. Taste – Filtered water often tastes significantly better than unfiltered tap water. Filters help remove chlorine, which can have an off-putting chemical taste, and some minerals, which can have a metallic taste. If you’re not thrilled with the taste of your water, you may consider getting a filter! Safety – While most municipal water systems are well maintained and filtered properly, there are some risks with drinking tap water. One is corrosion in water pipes that can lead to potentially harmful contaminants entering your water. Filters help to remove bacteria, chemicals, and dangerous contaminants like lead. Peace of Mind – Even if your tap water is relatively clean, nothing beats the peace of mind of having a reliably clean and fresh tasting water source. Plus, it might encourage you to drink more water, which is always a good thing! Filtration – We looked at the quality of the filters used, as well as their design and advertised uses. Not all water filters are created equal, so we tried to select the most effective options. 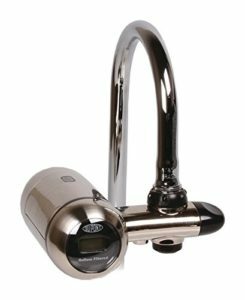 Price – While faucet water filters are generally affordable, we want to help our readers get a great deal on a quality product. So, we took price into consideration. We also compared the ongoing costs, considering replacement filters and the expected lifespan of each product. 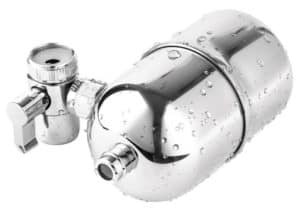 Reviews – We read lots of third party faucet water filter reviews to document how the average consumer experienced each product, and to identify problems that we may not have noticed in our short-term testing. This data helped to round out our own findings. Durability – We worked to estimate the durability of each product, based on its construction and materials used. Since our tests were short-term, we also looked at product reviews to identify faults with product durability.